In the War on Terror, the mandatory for every soldier is to be well-equipped and to have enough ammunition for the firefight. Magpul Industries Corp. has introduced a bright new 7.62mm version of its high-capacity polymer drum magazine capable to hold 50 rounds of 7.62x51mm NATO/308. Winchester caliber. The Magpul PMAG D-50 is designed to hold 50 rounds for SR25/M110 AR-style rifles. It follows the popular PMAG D-60 drum magazine for 5.56mm rifles. The D-50 features “proven GEN M3 technology, which includes next-generation impact and crush-resistant polymer construction and the ability to seat fully loaded on a closed bolt,” according to Magpul’s website. The robust stainless-steel internal components are designed to withstand corrosion and long-term storage while loaded with no loss of function, spring fatigue, or reliability concerns. The introduction of the D-50 comes a week before popular SHOT Show 2019 in Las Vegas, Jan. 22-25. The D-50 magazine weighs about 1.7 pounds empty and 4.5 pounds loaded, making it “one of the lightest 50-round 7.62mm drums available the website states. And the D-50’s “unique drum configuration gives it roughly the same overall height profile as a standard 25-round 7.62mm PMAG, making storage easy and shooting from various positions — including prone — no different than with smaller capacity magazines,” the website states. A special, ratcheting loading lever removes spring tension so the D-50 can be easily loaded by hand, the website states. The D-50 features an anti-glare translucent window on the rear of the drum for quick positive visual indication of remaining ammunition. It can be disassembled quickly with a simple flat blade screwdriver or similar tool, and it comes with a dot-matrix pattern that allows for easy marking and identification, the website states. The D-50 magazine retails for about $150 and is “coming soon,” according to Magpul’s website. It comes with a slip-on, semi-rigid dust cover to prevent grit and debris intrusion during storage and transport. It will be interesting to test it once it comes out to the market. A Russian SU-27 fighter came dangerously close to a Navy EP-3 Aries reconnaissance aircraft over the Black Sea, defense officials said. The incident occurred back in November 2018. 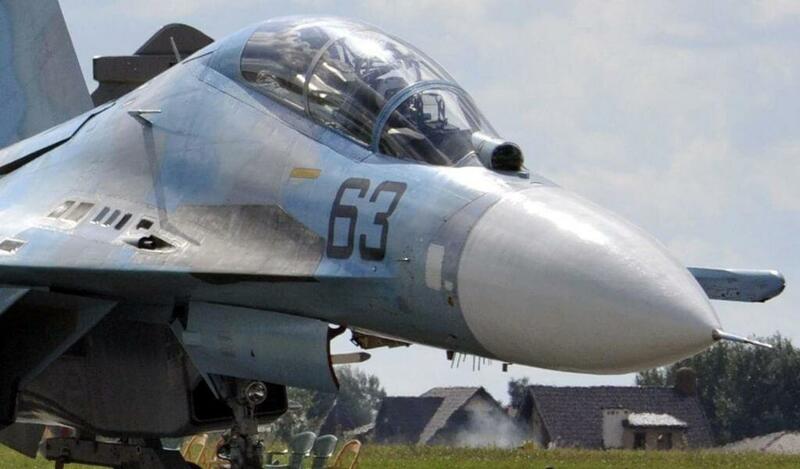 The U.S. Navy aircraft was in international airspace and had its transponder on as the SU-27 made two close passes, said Pentagon spokesman Eric Pahon shortly after the incident. “We classified it as unsafe,” Pahon told reporters. “They didn’t establish radio contact. They came really, really close to our aircraft. I don’t have an estimate of distance – but really, really close to our aircraft – and then they engaged the afterburners and the entire aircraft shook. “There’s just absolutely no reason for this type of behavior,” he continued. “This type of behavior is unacceptable. We call attention to it when it does occur. It puts our aircraft and air crews in danger. November’s incident was the second such close encounter since January, 2018 when another Russian SU-27 came within five feet of a Navy EP-3 and then crossed through the Navy aircraft’s flight path, causing the EP-3 to fly through the Russian fighter’s jet wash. The Russian defense ministry denied that one of its fighters flew too close to a Navy EP-3. The footage can be seen below. A Russian military contingent that arrived in Venezuela over the weekend, drawing US condemnation, is believed by the US government to be made up of special forces including “cybersecurity personnel”, a US official said.The official, speaking on condition of anonymity, said the United States was still assessing the Russian deployment, which Washington has called a “reckless escalation” of the situation in Venezuela. Two Russian air force planes landed outside Caracas on Saturday carrying nearly 100 Russian troops, according to local media reports, two months after the administration of US President Donald Trump disavowed Venezuelan President Nicolas Maduro.Venezuela’s government has confirmed two planes landed from Russia at the weekend and were authorised by Maduro but has given no more details. Flight tracking websites said the planes, an Ilyushin IL-62 passenger jet and an Antonov AN-124 military cargo plane, had taken off from Russian military airports.One of them had flown from Moscow via Syria, where Russia supports President Bashar al-Assad. The Trump administration has recognised opposition leader Juan Guaido as the country’s legitimate president and demands that Maduro step down. Russia has described this as a US-backed coup against the socialist government.The US determination that the Russian contingent includes cybersecurity specialists suggests that part of their mission could be helping Maduro’s loyalists with surveillance as well as protection of the government’s cyber infrastructure.Russia’s main objective in providing the military help, including cyber experts, would likely be to help shield Maduro from “regime change” and ensure a foothold for Moscow in Latin America, according to a source familiar with US government assessments of Venezuela. Russia also has major energy investments in OPEC member Venezuela. In December, Russia sent two nuclear-capable long range bombers to Venezuela for several days to participate in what it said were joint exercises. Russia’s foreign ministry said on Tuesday that the presence of “Russian specialists” in Venezuela was governed by a military-technical cooperation agreement between the two countries.It did not provide further details. However, Sputnik, a Russian state news outlet, cited unnamed embassy officials in Caracas to report that troops and 35 tonnes of cargo under the command of General Vasily Tonkoshkurov arrived to “exchange consultations”.